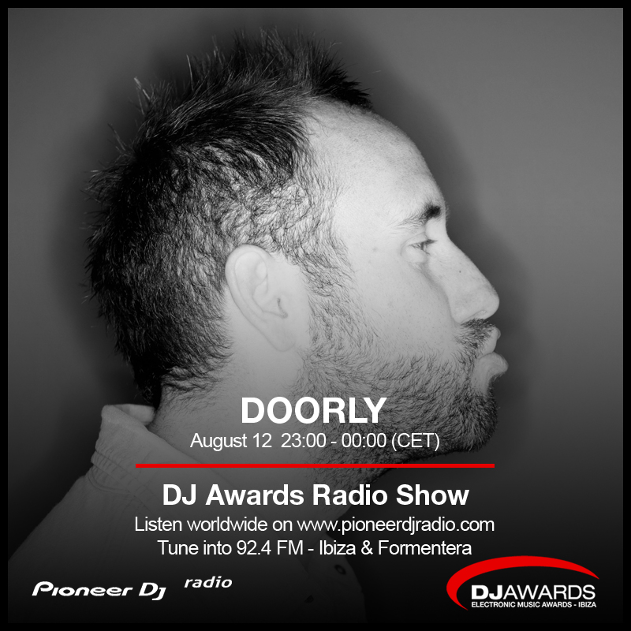 The DJ Awards Radio Show continues tonight with special guest Doorly. The British bass-house Don is known for his boisterous productions, of which have topped the Beatport charts countless times. Releasing on prolific labels such as Hot Creations, Cajual, Dirtybird and Toolroom - to name a few - Doorly has been championed by Pete Tong from day one, naming him as a future star but no one could anticipate how quickly he would become a household name. This year alone he has notched up two essential mixes on BBC Radio 1, earned multiple Beatport and Traxsource No.1s, worked on production for Usher and Nicki Minaj and even shared a stage with The Prodigy. And he's not looking to slow down anytime soon. The annual DJ Awards are set to take place at Pacha Ibiza on October 3rd and will honour the best acts of the year in various categories such as Bass, Breakthrough, Deep House, Electronica, Electronic Live Performer, House, Newcomer, Tech House and Techno. Tune in to the DJ Awards Radio Show on Pioneer Radio tonight at 23:00 CET (00:00 SA time) to catch an exclusive mix by nominee for the House category at the DJ Awards, Doorly. Click here to go the website.